The Good Boy Foundation is a non-profit that provides items and services to childhood cancer patients and their families. Our mission is to be present in the lives of children fighting pediatric cancer, to share positivity and smiles in whatever way they need, and encourage them to never give up. 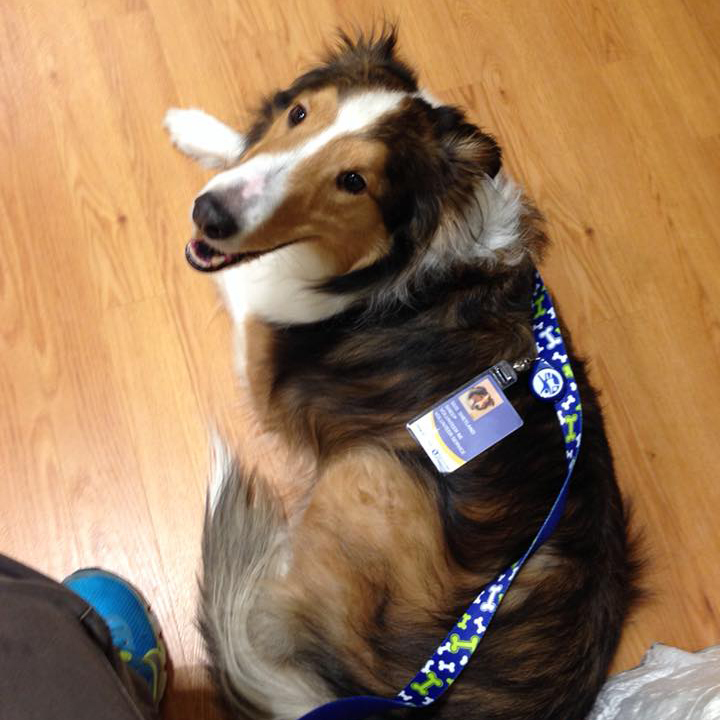 In February of 2012, Gus and I were accepted into the dog therapy program at Cincinnati Childrenâ€™s Hospital. As a Cincinnati fireman I have a deep desire to give back to my community, and this program seemed perfect for me and my friendly, outgoing dog. Over the years as a therapy team we were often assigned one-on-one visits with children dealing with complex illnesses that had been in the hospital for months at a time, and more times than I wish to remember children who had exhausted all treatments and were actively dying. Through the years we met many families dealing with childhood cancer and learned how poorly funded it is. We needed to do more. 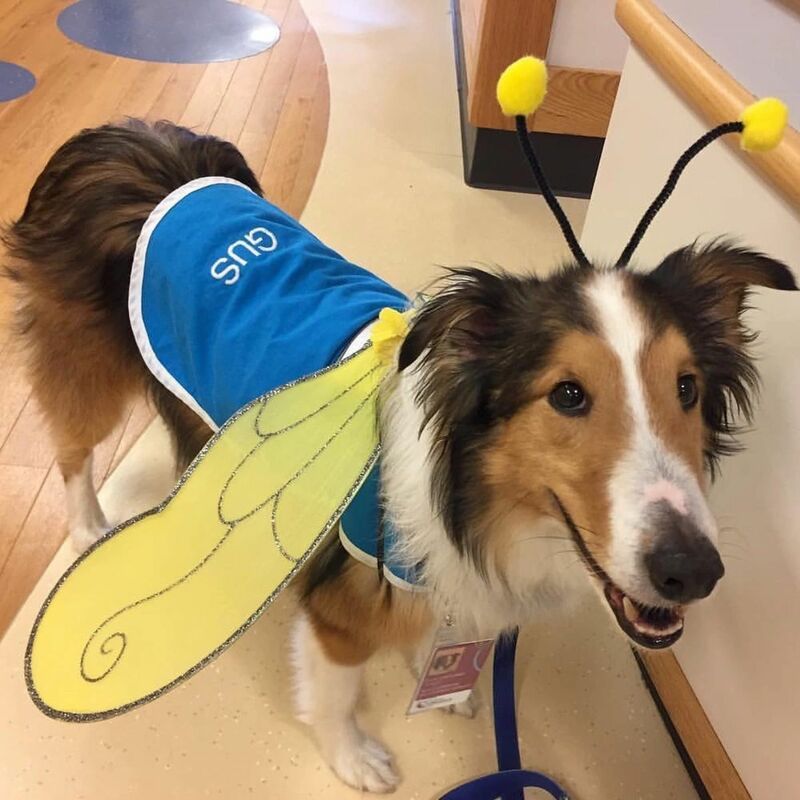 In September of 2017 Gus was diagnosed with an aggressive, terminal type of canine cancer. When I came to terms with the reality that Gus would not be around too much longer, I needed to come up with an idea to keep helping the kids that he loves so much. That is when The Good Boy Foundation was born. Our mission is to be present in the lives of children fighting pediatric cancer, to share positivity and smiles in whatever way they need, and encourage them to never give up. So far in our short time as an organization this has taken the form of throwing birthday parties, buying winter coats, buying Christmas ornaments for inpatient Christmas trees, supporting families t shirt fundraisers and more. In the future, we want to be able to continue supporting families in whatever way we can, and also support the research being done at the Cancer and Blood Diseases Institute at Cincinnati Childrenâ€™s. 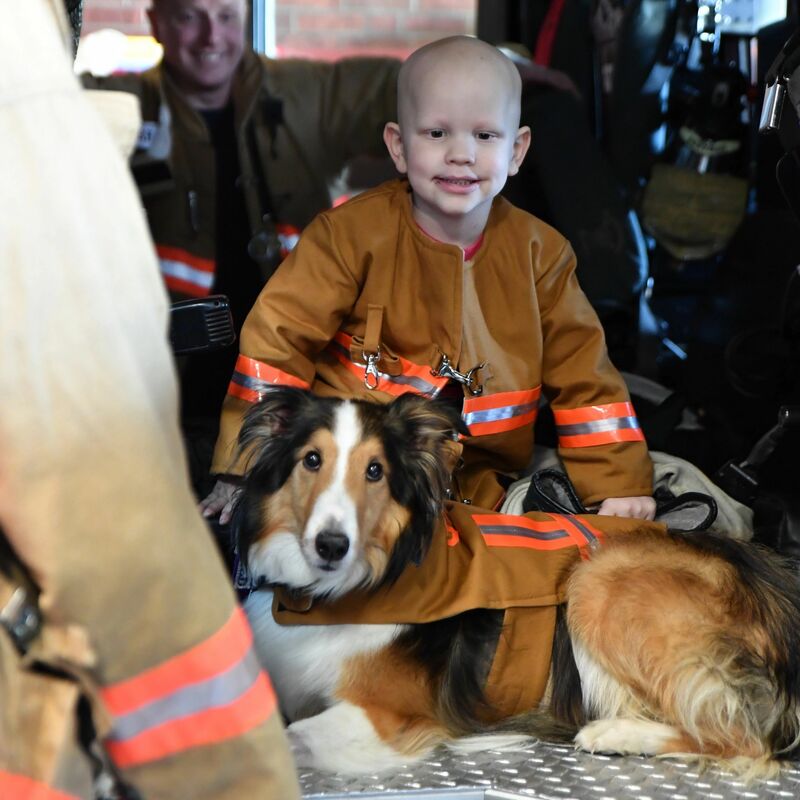 The Good Boy Foundation supports childhood cancer patients and their families with material and logistical support, so they can focus on the real fight at hand. Only 4% of all cancer research funding goes towards the study of childhood cancer. We identify and donate to organizations that research childhood cancer. We host events that raise awareness about childhood cancer, as well as provide opportunities for others to become involved in our mission. Your support and contributions will enable us to meet our goals and improve the lives of childhood cancer patients. Your generous donation will fund our mission. Use the link below to donate directly to The Good Boy Foundation. We have a 1,020 piece puzzle and we need each piece to be "sponsored" for $5. When you sponsor a puzzle piece,(or two or three or 10! The sky is the limit!) your name will be printed on the back. When the whole puzzle is sponsored, we will put it together, frame it with the names facing out, and present it with the donation to the hospital. It will be a visual reminder of how the community has come together to help OUR kids. 100% of the money raised with go to the Cancer and Blood Diseases institute at Cincinnati Children's Hospital.